Articles concerning the issues of mental illness and the treatment of insanity, including writing related to concepts such as moral treatment and the defective classes. During the early 19th century, epilepsy and insanity were considered closely related, so some historical articles on the institutionalization of epileptics may also be found here. After Care for the Insane: New York State 1906After Care for the Insane was another much needed service that was introduced, organized and came to fruition in 1906 by Miss Louisa Lee Schuyler. When inmates were discharged from the state hospitals, many had no where to go. They had no home, no job, no friends or relatives willing to help them and many had children that had been separated from them during their incarceration. Miss Schuyler and her league of volunteers of The State Charities Aid Association helped these people to re-enter society with a helping hand by working in co-operation with the superintendents of the state hospitals. Brigham, AmariahIn the summer of 1842, Dr. Brigham was appointed Superintendent of the New York State Lunatic Asylum, at Utica. The institution was opened on the 16th of January, 1843. From this time, until the period of his death, he was unceasing in his devotion to the great cause of humanity in which he was engaged....Dr. Brigham was not only desirous of establishing an institution which should be creditable to the State, but, in order that our citizens should avail themselves of its advantages, he labored to diffuse a more extended knowledge of the subject of insanity. This he did by popular lectures, and by embodying in his reports details of the causes, the early symptoms, and means of prevention. Care of the Filthy Cases of Insane: 1885Written by Stephen Smith, M.D., State Commissioner of Lunacy, New York City. "The care of these patients is all that can be desired. Each of these hospitals has a regular day and night service, so organized that the filthy are trained, if possible, to habits of personal care and cleanliness. They are not only promptly changed when found to be soiled; but, as far as practicable, their necessities are anticipated, and they are required to protect and care for themselves." Care Of The Insane In New York (1736 - 1912)Written by Linda S. Stuhler. "...the hospital was an institution of great public utility and humanity, and that the general interests of the state required that fit and adequate provision be made for the support of an infirmary for sick and insane persons." Chapin, John B., M.D., LL.D.John Chapin, M.D., LL.D. (1829 – 1918) — Advocate for the Chronic Insane of New York, and the Removal of All Insane Persons from the County Almshouse. This 1918 Obit was copied with permission and derived from the blog researched and developed by Linda S. Stuhler. Colony For Epileptics (1914)"From the inception of public care of the insane in New York State epileptics were undoubtedly provided for from time to time, but no special provision was existent beyond a separate ward in the various hospitals. 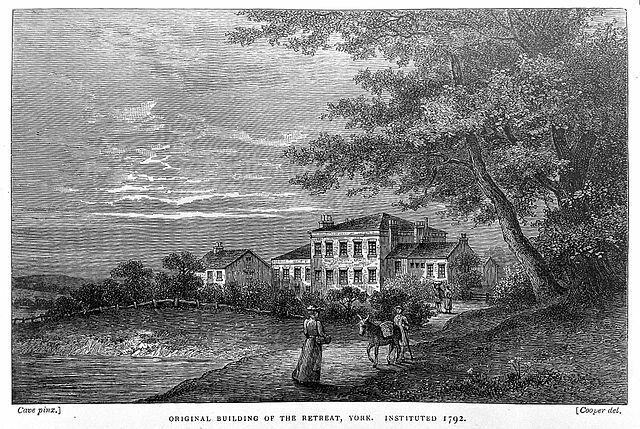 In 1873 Dr. Ordroneaux mentioned special provision for the epileptic on Blackwell’s Island." This entry was copied with permission and derived from the blog researched and developed by Linda S. Stuhler. Defective Classes (1891)I propose the following classification of the defective classes, depending upon the three divisions of the mental faculties which are generally accepted by psychologists. Insanity and idiocy are different forms of defective intellect. Crime and vice are caused by defect of the emotions or passions. And pauperism is caused by defect of the will. Blindness and deaf-mutism are defects of the senses, requiring special forms of education, but are not defects of the mind any more than the loss of an arm or a leg. Blind or deaf people properly educated are not a burden or a danger to society, as are criminals, insane persons, or paupers. Their defects are physical, not mental, and they should not be classed with persons who have these mental defects. Duty Of The States Toward Their Insane Poor: 1874Presentation by Dr. J. B. Chapin of the Willard Asylum for the insane on "The Duty of the States toward their Insane Poor." Franklin Pierce's 1854 VetoThe legislation advocated by Dorothea Dix -- and passed by the House and Senate -- was not unprecedented. At a time when there was no federal income tax, public land represented the largest potential financial resource available to the federal government. Federal lands had already been used to promote the construction of railroads, and there were discussions in 1854 of a homestead act that would provide free land to settlers who were willing to move to the West. Hoyt, Dr. Charles S.Dr. Charles S. Hoyt (1822-1898): Superintendent of New York State and Alien Poor, in the Service of the State Board of Charities. This 1898 Memorial to Dr. Charles S. Hoyt was copied with permission and derived from the blog researched and developed by Linda S. Stuhler. Increase of Insanity (1895)It is within the observation of most physicians who have the care of the insane that the insanity of physical degeneration, resulting from syphilis, paralysis, intemperance, under-feeding, epilepsy, etc., is growing more and more common. These are the least hopeful forms of insanity; and it is their prevalence which seems to have caused a diminution in the rate of recoveries, almost everywhere noticed within the last twenty years. Cases really acute, and not complicated with these forms of disease and degeneracy, recover as easily and as fast as ever; and there is even a tendency to virtual recoveries of the chronic insane, which was not so much noted until recent years. Insanity in the Middle States: 1876This entry is from the Proceedings of the third Conference of Charities held at Saratoga, New York, September 6, 1876. by Mr. Sanborn. "Insanity is, in the middle states, as in the other states, increasing disproportionately to the increase of population..."
Life In The Asylum (1855)The Opal was published by the patients at the New York State Insane Asylum in Utica during the 1850s. It contained comments on current events, literary essays and book reviews, poetry, and descriptions of events at the asylum, including the dramatic and musical productions of the patients themselves. Management Of Almshouses In New EnglandPresentation by Frank B. Sanborn at the Eleventh Annual Session, National Conference Of Charities And Correction, 1884. In this paper for the NCCC, Sanborn reviews the basic structure of poorhouse care in Massachusetts and demonstrates reformers’ intense interest in controlling costs and removing able-bodied children from poorhouses. Massachusetts Report On Public Charities: 1876 As Secretary of the Massachusetts State Board of Health, Lunacy, and Charity, Franklin Benjamin Sanborn held the most powerful position on the board. This report to the National Conference of Charities illustrates Sanborn’s deep faith in the power of statistical research to illuminate the nature of social problems. Middletown State Homeopathic Hospital: New York - 1891This is a lengthy "Letter to the Editor" of The New York Times written by "Index Medicus," a medical society and journal. If New York State was transferring patients out of their district to another state hospital, why couldn’t the State pay for the transportation of patients whose family and friends wanted them to receive homeopathic medical care as opposed to allopathic medical care? New York State Care System For The Insane Completed: 1896"The Governor has approved the bill creating the Manhattan State Hospital and providing for the transfer of the lunatic asylums of this city and the care of their inmates to the State"
Our New York State Charities: 1873"At present these petty criminals spend their time in complete idleness in the county jails, and go out worse than they entered. To improve this class there should be a separate department in the State work-houses proposed, and the criminal statutes should be changed, so that the magistrates could commit them to these, and for longer terms than is at present the custom." Poor House Conditions: Albany County, New York - 1864In 1824 the New York State legislature enacted the "County Poorhouse Act," a measure that called for one or more poorhouses to be built or established in each county. Thenceforth, all recipients of public assistance were to be sent to that institution. All expenses for building and maintaining the poorhouse(s) and supporting its inmates were to be defrayed by the county out of tax funds. The Act also created a new body of relief officials: County Superintendents of the Poor. Scientific Charity Movement and Charity Organization Societies“Scientific charity built on Americans’ notion of self-reliance, limited government, and economic freedom. Proponents of scientific charity shared the poorhouse advocates’ goals of cutting relief expenses and reducing the number of able-bodied who were receiving assistance, as well as the moral reformers’ goal of uplifting people from poverty through discipline and religious education via private charity. In this model, individuals responded to charity and the government stayed out of the economic sphere. State Board of Charities of New York: Reports 1878-1884n the early years of the National Conference of Charities and Corrections, representatives of the states in attendance were invited to share reports on their experiences, problem areas and achievement in connection with the charities and institutions in their respective states. Below are reports from the New York representative at the conferences held from 1978 to 1884. State Care of the Insane: New York 1901"Rise and Progress of New York State Care of the Insane: 1901" by Goodwin Brown, Ex-State Commissioner in Lunacy. "It is consonant with its destiny and greatness that the Empire State should have, of all States and countries in the world, the most complete, humane, and comprehensive system of caring for this most unfortunate class." Training Schools - And Civilian Public Service (1944)Article by Stephen Angell in The Reporter, 1944. The Civilian Public Service (CPS) was set up to provide conscientious objectors in the United States an alternative service to military service during World War II. Treatment of the Insane: 1876The "Preface" is from the Proceedings for the third Conference of Charities held at Saratoga, New York, September 6, 1876. It is followed by a paper titled “The Treatment of the Insane” delivered paper by Dr. Nathan Allen, of Lowell, Mass.